Hungerford Group, developers of the multi award winning MacPerson Walk in South Burnaby are the latest to secure a building site on top of Burnaby Mountain at SFU, UniverCity. Altitude will be a 2 tower development comprising of a 12 and 14 story building with a total of 210 strata units. Homes will range in price and size with 1, 2 & 3 bedroom plans and a small selection of town homes. 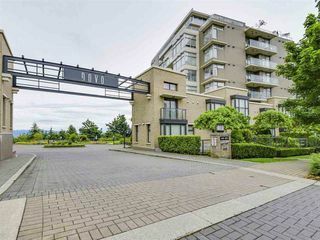 Located at the peak of University Crescent next to Altaire, Altitude will rise higher up than any other residential building currently in UniverCity or within Metro Vancouver for that matter. Hungerford intends this to be the highest end development to date at UniverCity that will be both investor friendly and appeal to potential residents. Although pricing has not been released, in speaking with Jason Dolker of Hungerford Group, he is confident Altitude will be competitively priced representing great value with compared with recent pre‐sale developments. Floor plans will be efficient with an intense amount of attention to detail. This will be an exciting development to watch as Mr. Dolker has provided some insight on just how high‐end Altitude will be. Features such as high‐end name brand appliances and not “developer specials” will be used, pot lights will highlight entrance ways providing a warm welcome to future owners, engineered wide plank oak floors will be used in favor of laminate, large 3’ wide showers with custom tiled shower base, all interior doors will be pull doors and not bi‐folds, custom roller blinds and the list goes on. Given the location, I would expect views from roughly the 7th to 8th floor up will be spectacular. Mr. Dolker feels Hungerford will bring something very unique to UniverCity, something the market has not seen as of yet. As mentioned by Mr. Dolker our goal was to create “that boutique development” in the community that will be sought after for many years to come after completion representing short and long term value. The aim is to start pre‐sales in the next couple of months, possibly as early as mid‐March. Completion, I expect will be late 2014 and one should expect a 15% to 20% deposit payable. Pricing, floor plans and exact launch date at this time are unknown. Check back for further details as they become available. Hungerford Group is a diversified real estate private equity business engaged in a range of properties, development, and management activities focused in Western Canada. Our business strategy is to acquire well located properties utilizing balanced leverage, advantageous market timing and proactive value added management. Typical investment properties include Class B & C properties with current income and upside potential. Hungerford Group applies multifaceted value enhancing strategies to maximize returns. Such value add strategies include increasing rents & occupancy levels, reducing operating costs, refurbishment & redevelopment, rezoning & repositioning, strategic site assembly, and environmental remediation. Current real estate assets under management total over 1,000,000 square feet including investments in residential, office, retail, industrial/warehouse, residential and agricultural properties. Hungerford Group has a continuous pipeline of projects under development and refurbishment currently developing over 700 residential units.